Never work with children and animals? We disagree! When we were approached by Bristol Zoo to create an interactive enchanted evening for their Christmas late sessions we jumped at the chance. There were challenges of course, including no-go performance zones near the lions, and noise and light restrictions near other animals, but we worked closely with the zoo and the result was three magical evenings enjoyed by over 4,000 visitors. 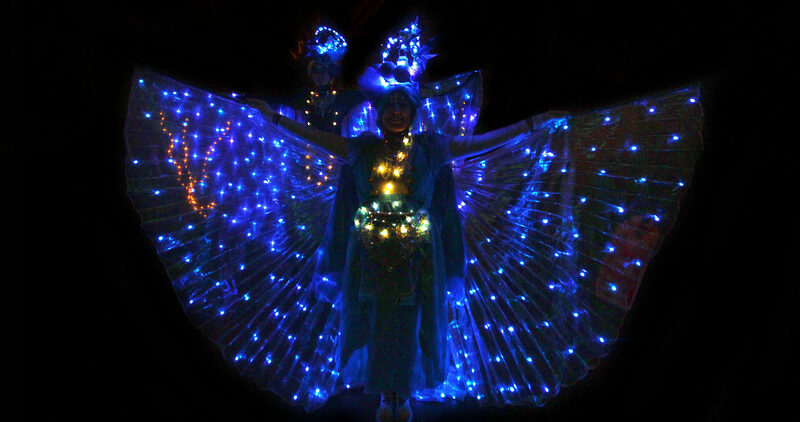 Our beautifully illuminated characters roamed between set locations, and our bandstand was lit up to host ‘caroloke’ which was rockin’ all night! 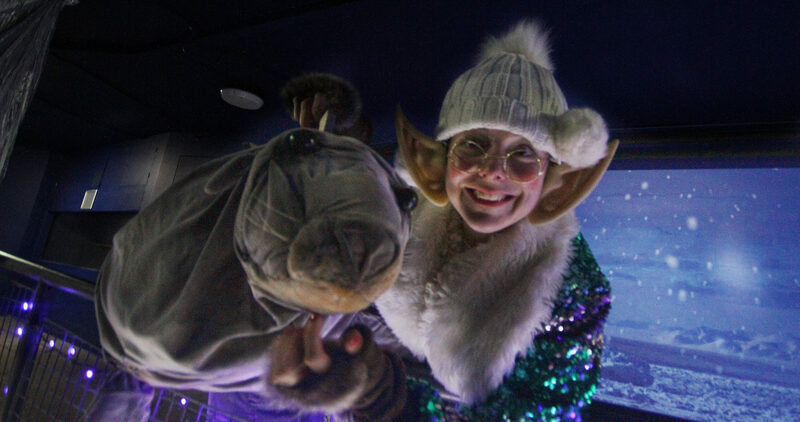 We also created an immersive theatrical experience through the basement of the seal and penguin enclosure, where visitors were invited to help find Horatio the lost seal (puppet) as well as meeting a host of Christmas elves, puppets and creatures along the way. With 1,500 visitors through the experience in just three hours our stage management skills were put to the test, and, judging by the happy faces from everyone as they left the show – including the client – we think we succeeded.